Have you ever shared a blog post to Facebook and it didn’t look quite right or the wrong image displayed? The probable culprit is you haven’t enabled your blog to communicate properly with the social networks. There is a fix. It’s called the Facebook Open Graph (OG) protocol. Facebook Open Graph is somewhat technical. Our goal is to avoid any tech speak and explain the open graph so your mother could understand it. Furthermore, there is no one size fits all when troubleshooting issues that may arise when content is misaligned or images missing. We’ll focus on Facebook and tackle the other networks in future posts. However, the steps we lay out below will fix many problems you may be experiencing on Google+ or LinkedIn. What is the Facebook Open Graph? Think of Facebook Open Graph (OG) as a translation service that helps your website speak with the social networks. Facebook created the OG, but other social networks support it including Google+ and LinkedIn. When OG tags are properly enabled, your website takes on characteristics of a Facebook Page which means your site is enhanced with additional features seen only on Facebook. With the millions of updates shared across all the social networks, the OG establishes a common language between your site and the social network. OG tags make it easier to quickly interpret, process and properly format your content on their platform. 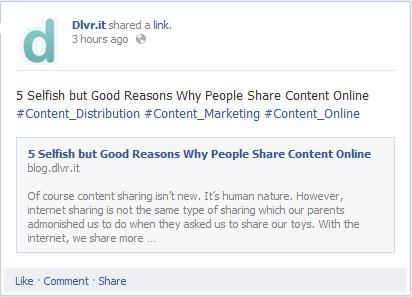 The tags determine how the summarized information, image, and title appear when you share a link. Why should I care about Facebook Open Graph? 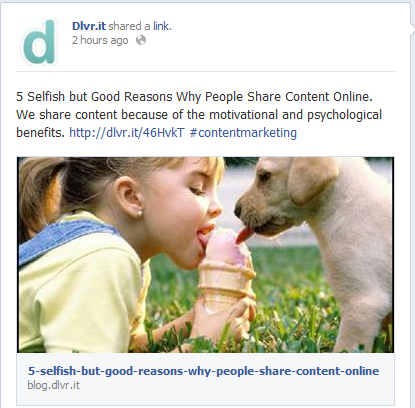 Have you ever shared a piece of content from your blog on Facebook and the wrong image appears? How does this happen? This mistake occurs because your blog and Facebook have a miscommunication. Facebook scans the page or blog post you are sharing and makes a decision on which thumbnail to include in your update on Facebook. The image may come from ANY portion of the linked page. With OG tags, your posts look more appealing and includes the right images. According to Kissmetrics, photos get 53% more likes, 104% more comments and 84% more click-throughs on links than text-based posts. Why is Facebook Open Graph important? OG tags are identifiers that tell Facebook what your site is – a brand, blog, news site, store, etc. 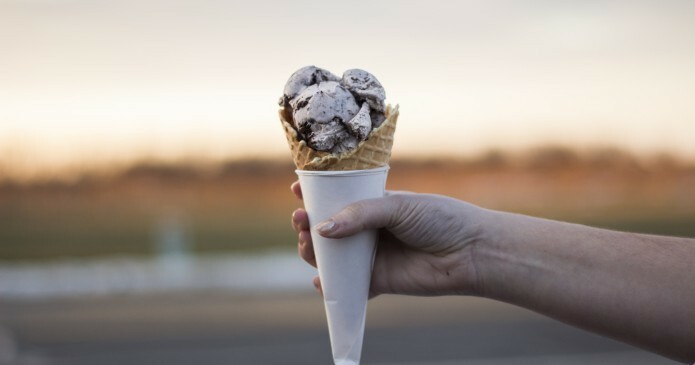 As a content producer, OG ensures your content appears on Facebook exactly how you want it to appear either when shared by you or your readers. You can associate OG tags with a brand or personal Facebook ID. However, you don’t have to have a Facebook page to use OG tags. Facebook emphasizes images in its News Feed, so you want to be certain you are properly communicating with Facebook when sharing content. Also, when used with the Facebook Like button, your web pages are submitted to the Social Graph. Admittedly, we are crossing two concepts – OG and Social Graph, however, they work hand-in-hand. The Social Graph is similar to Google indexing your content. Think of it as Social Search Optimization. The difference is the Social Graph is made up of the ‘actions’ people take on your site. An action can be as simple as a visit to your site, clicking the Like button or sharing content on Facebook. Actions carry different weights. As an example, sharing content on Facebook is a stronger signal to Facebook then just a visit to your site. Let’s take a use case as an example: Joe visits your site and ‘Likes’ one of your blog posts. Facebook says, “Joes likes your blog, show Joe more content from your blog when Joe is on Facebook.” Joe’s actions on your site are used to increase the opportunity of your content appearing in Joes’ Facebook feed. The more actions Joe takes with your content, the stronger the signal this sends to Facebook and the more likely your content is presented to Joe when he is on Facebook. Like Google with its secret formula to determine what sites to show when you do a search, Facebook is no different. Not all your friends see all your posts. Because of the volume of updates your friends could see, Facebook adds a bit of science to determine what to show and to whom. One factor that determines this is the total sum of all the actions that takes place on your website. There are over 2.4M posts made to Facebook every minute. It’s in your best interest to gain an edge and improve the opportunity your content gets seen on Facebook. OG tags can help make your content more appealing and when combined with the Like button provide an edge when Facebook determines what to show in your reader’s feed. Summary: OG tags improve your exposure on Facebook. After implementing Open Graph tags, one blogger was able to increase Facebook traffic by 174%. How do I get OG tags on my blog? Of course, Facebook has all the technical documentation you might need to incorporate the OG tags on your site – manually. Unless you are somewhat technical, I suggest a plugin for your blog or find a developer to help. If you run a WordPress powered site, you can use many plugins to assist you with getting OG tags integrated into your website. I experimented with the official Facebook Open Graph plugin. I have to admit that it is not as user-friendly as I had hoped. Social Media Explorer has done a great job explaining how to use the Facebook Open Graph plugin. If your RSS feed has images in the feed, follow this simple solution to enable the proper formatting and image display of your Facebook updates. 2. Add an RSS feed and connect a Facebook account. 3. Click the “Post Content” tab that appears during the Facebook set-up process in Step 2. 4. Select “Auto-detect from Item Content” from the drop down menu and click Save. Now, anytime you update your blog, dlvr.it formats the content correctly and shares it on your Facebook timeline – including images. This solution is an easy fix to your Facebook image posting issues. Keep in mind; the minimum image size needs to be 200×200. If you are using WordPress, include a Featured Image that is 200×200. This solution only works if you have images in your RSS feed. This solution is NOT a replacement for adding OG tags to your blog but will solve most image and formatting issues on Facebook. WordPress users can install a plugin to help them properly get images in their feed. If this is all too much for you, I recommend working with a professional who can help you navigate OG tags. Frankly, this is a fairly complex issue to understand and important enough to get it right. Thank you once again for this article ! Thanks Bill for good info and after Facebook made last upgrade i found that my posts show up more than before, i can say it’s about 1500%. Good to hear. Facebook often makes changes. They’ve put a much bigger emphasis on images making OG tags critical. That is so Cool ! And a solution to the real problem I face . . .
A basically good start, but it doesn’t go far enough. It explains well the need and roughly how it works from the front, but FB and G+ links to “debuggers” is hardly enough, In addition, the general assumption that WordPress is the only blog platform out there that can be customized is something too many social tool commentators are leaning on as a way to avoid the complexities of the social world from a business standpoint. It has become the excuse for not having to delve into a topic deeply from the nuts and bolts perspective… and that is what you have done herein. J.C. thanks for your comment. It is quite a complex issue to solve. When you really dig into the problem you open up a can of warms with so many variables. Each network has it’s own issues and then when you get into the blogging and content management platforms, they handle it differently as well. What blogging platform do you use? We chose WordPress as it is the most widely used platform by bloggers and businesses. We plan to cover this topic more because one blog post doesn’t cover the topic completely. Indeed, all that you point out is very true, but there are some commonly used free blogging platforms you might consider for a follow up at a later time. Then again, there might be unforeseen limitations with those. The two most common ones outside of the major social systems would be Tumblr and Blogger/Blogspot. Other people here might have a differing take on “common.” The settings pertinent to RSS and Dlvr already mentioned do cover enough for most people. I already had such implemented, though my results do not precisely match your illustrations in this article for how things show up on either FB or G+. But the results are close enough, and Dlvr has helped produce a slow but steady rise in downstream traffic to our main site (on Blogger… and feeding into a subsite at Tumblr). Credit where credit is due (earned) by Dlvr! Why send people off to too many other sites when you want them coming here as often as possible? And as pointed out, the places you sent us didn’t really help much. Fill the need and keep your traffic coming to where you want it–HERE! Present us with at least the basic steps pertinent to getting up and running on more than just WordPress. It does not have to go too far, and yes references to actual documentation elsewhere will be necessary. But take us a step further and we will be back in knowing that our sherpa has not ever left us stranded on the side of the mountain to find our own way to the top. Best Wishes, and keep the tech talk coming! Thanks JC for your thoughtful response.